[xtypo_dropcap]H[/xtypo_dropcap]istory will not be kind to books like Zachary Karabell’s. 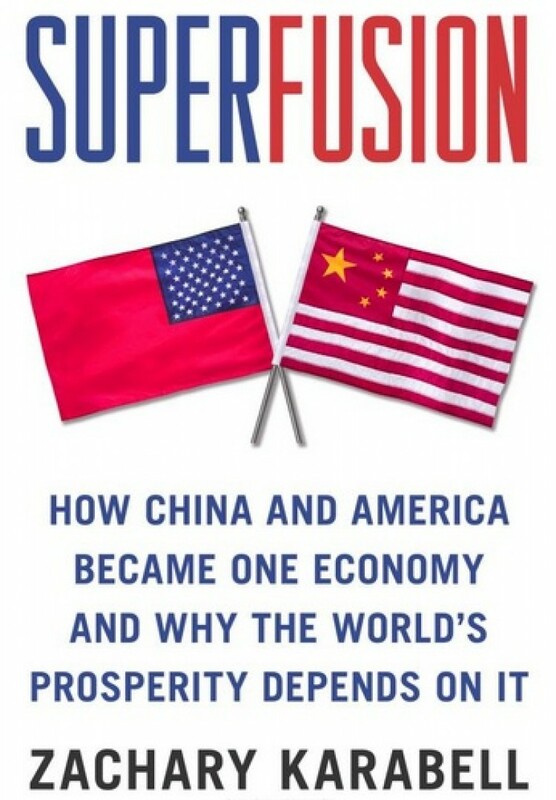 In the very modestly titled “Superfusion: How China and America Became One Economy and Why the World’s Prosperity Depends on it,” Mr. Karabell explains that the economies of the United States and the People’s Republic of China are actually one economy, that the U.S. Navy is an anachronism, that U.S. and Chinese officials will one day sit down together and jointly decide their countries’ (sorry: country’s) interest rates, and that, in this inverse-communist utopia, the nation state will simply wither away as humankind joins hands and strides into a future of free markets and eternal prosperity (except for the florid peroration, he really did write all those things). Mr. Karabell’s work seems a perfect demonstration of the adage that only really smart people can come up with the really stupid ideas. A Harvard Ph.D. who works as a business adviser and economic analyst, Karabell’s view of the future between China and the U.S. is among the rosiest on offer. And who would not want to recline back onto that soft bed of pink petals, where everyone means for the best, conflict doesn’t exist, and economic interdependencies take care of everything? Of course, the thorns are the trouble—but Karabell conveniently ignores those. The book begins with the massacre of students on Tiananmen Square and runs through the last two decades of economic change in China. Chapter titles are slick, their length slim, and the footnoting minimal—the focus is on a fresh interpretation of a well-known set of facts. Or, rather, a subset of facts: enormous and crucial parts of the New China puzzle are elided in this narrative. It would not hold together otherwise. 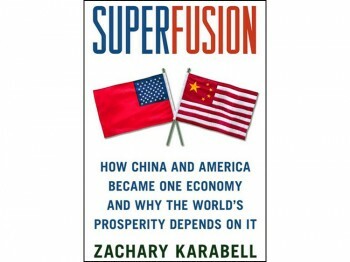 Mr. Karabell’s principal argument is that China’s massive holding of U.S. debt, the uptick in U.S. business in China, China’s entry into the World Trade Organization, the growth in mutual trade, foreign investment, etc., mean there has been a fusing of the Chinese and U.S. economies—a “Superfusion,” a “Chimerica,” that has gone largely unnoticed, he says. These interdependencies are likely to be insuperable, we learn. On at least one point Mr. Karabell gets the economics horribly wrong, where on pp. 201-202 he claims that Chinese do not deposit much of their savings in banks (in fact they deposit huge amounts of savings in banks, which is incidentally very useful as the Communist Party’s play money). He tells us all the good bits about U.S. business in China, but none of the messy bits (for that the serious student will read Joe Studwell’s “China Dream” and Ethan Gutmann’s “Losing the New China”). Without knowing the real determinants for the success or failure of foreign businesses in China—and Mr. Karabell does not explain them in his recounting of three low-hanging anecdotes—it is indeed difficult to predict future success. But Mr. Karabell does not let such details impact the grand narrative, so the story steams ahead. In this analysis, the deep differences and contradictory interests between the U.S. and China take a back seat. But in the real world it is only a question of how long one can luxuriate in a rose bed before getting pricked.